Save money on this Dealer Special! Due to the current growing levels of our inventory this vehicle's price has been dramatically reduced to move by month's end! Call now for the opportunity to purchase this vehicle at a pre-auction price far below the retail value! Priced below KBB Fair Purchase Price! CARFAX One-Owner. Clean CARFAX. 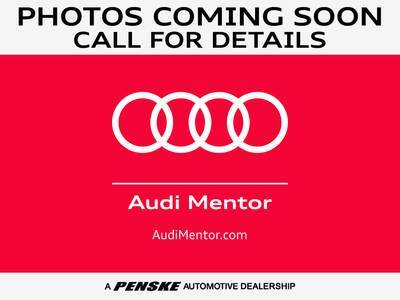 21/26 City/Highway MPG Only at Audi Mentor!